This study investigated the effect of surface wettability, hardness and surface contact on the germination and subsequent development of Botryosphaeriaceae species conidia. Mean percent germination for isolates Neofusicoccum luteum MM558, N. luteum CC445, N. parvum G652 and Botryosphaeria dothidea 007 was highest on cellulose which was the most hydrophilic surface (72.2%, 76.9%, 52.4% and 74.9%, respectively), but did not differ between the other surfaces tested (glass, polystyrene and Parafilm M™). Germ tube growth for all isolates was least on cellulose and similar on the other surfaces. Cellulose agar assays indicated that mycelia could be utilising the cellulose as a food source. Germination assays on surfaces of different hardness showed no discernible patterns of germination or growth related to hardness. Further, there was no effect on germination of surface contact versus continuous shaking of conidial suspensions for isolate N. luteum MM558. These assays demonstrated that conidia of the Botryosphaeriaceae were able to germinate on a variety of surfaces with this flexibility indicative of their reported pathogenicity of different host tissues. The authors would like to thank Lincoln University for funding this research. Funding was provided by Lincoln University. ten Have, A., Tenberge, K., Benen, J.A.E., Tudzynski, P., Visser, J., & van Kan, J.A.L. (2002). 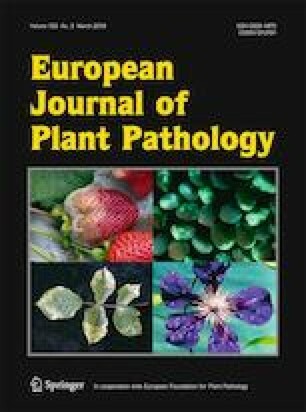 The contribution of cell wall degrading enzymes to pathogenesis of fungal plant pathogens. In Agricultural Applications (11 ed., pp. 341–358): Springer Berlin Heidelberg. Retrieved from https://doi.org/10.1007/978-3-662-03059-2_17.